as an artist with IBM. 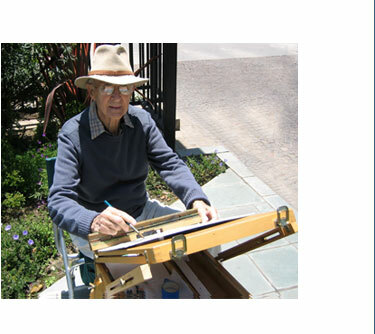 He served two years on the Board of Directors of National Watercolor Society, was President of Valley Watercolor Society and Valley Artists’ Guild. at the Riverside Art Museum. his wife, Norma, and son, Eric.